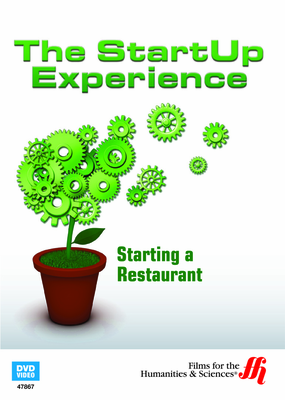 This enhanced DVD discusses the steps necessary for an aspiring entrepreneur to succeed in the restaurant industry. There are a few different business types that are poised to be more successful than others. Some businesses are more likely to struggle in a bad economy while others are more likely to weather the storm. One of these businesses is a restaurant, because people have to eat regardless of the economic client. However, even a restaurant is subject to basic business practices and principles. In this DVD the CEO of Rocky Mountain Restaurant Group, Randy Price, discusses the problems and benefits of opening a restaurant. The successful business man also discusses the "one-third" formula which promotes success in the restaurant industry. Randy has opened several successful restaurants in his career, and anyone looking to go into this sector will benefit greatly form his advice.